It was a successful burglary - but clearly not a well thought out one. A screenshot from the CCTV footage of the robbery. It was a successful burglary - but clearly not a well thought out one. On Saturday, a man broke into a shoe store in Virginia, USA, and stole about eight shoes that were on display - all of them for the right foot. The incident took place at about 4.20 am at Clean Soles shoe shop in the city of Roanoke, and has left authorities puzzled. It is not clear whether he was in too much of a hurry to notice what he was grabbing or whether he only meant to steal the right-foot shoes - we suspect the former. Not much good "unless you have two right feet," said Rob Wickham, who operates the shop, to The Roanoke Times. "Pretty much risking their freedom for nothing." 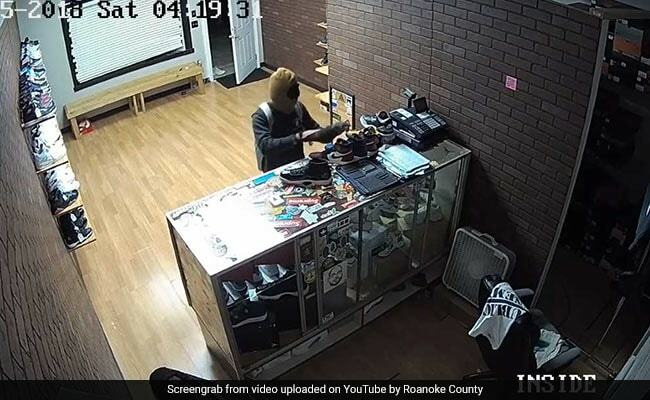 CCTV footage of the robbery, released by the Roanoke County Police Department, shows the thief, his face covered with a ski mask, walking away with some sneakers that were on display on the counter. The police are now asking for help in identifying the man. However, the burglar did manage to get away with one whole pair of sneakers and a few hoodies and shirts, reports The Roanoke Times. This is not the first time that a not-so-smooth criminal has been caught on camera. 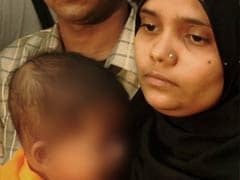 In June this year, a man in Coimbatore pretending to exercise to steal a lightbulb made everyone on the Internet laugh out loud.